Sponsorship of publicly facing art ramped up significantly during the early Renaissance. 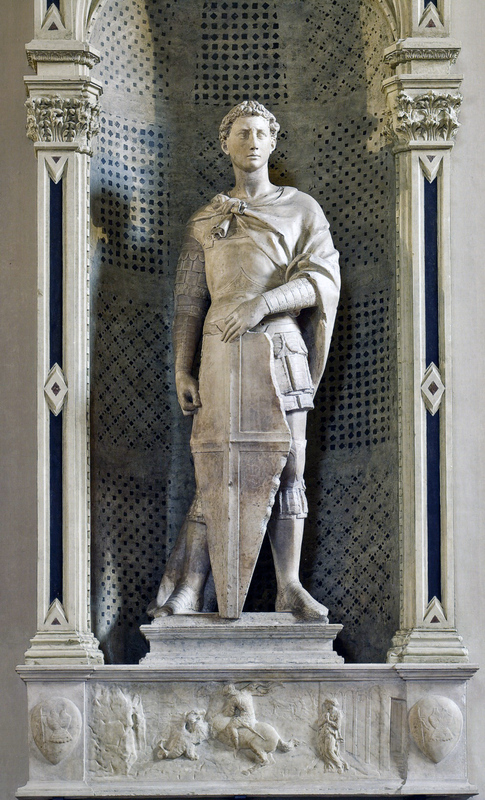 Or San Michele, a church in Florence's center, received the support of Florentine merchants, and the various guilds took responsibility for commissioning statues to sit in the niches of the church. This gave the sculptor Donatello to create a work that conformed with the growing trend of mimicking the aesthetic of antiquity.